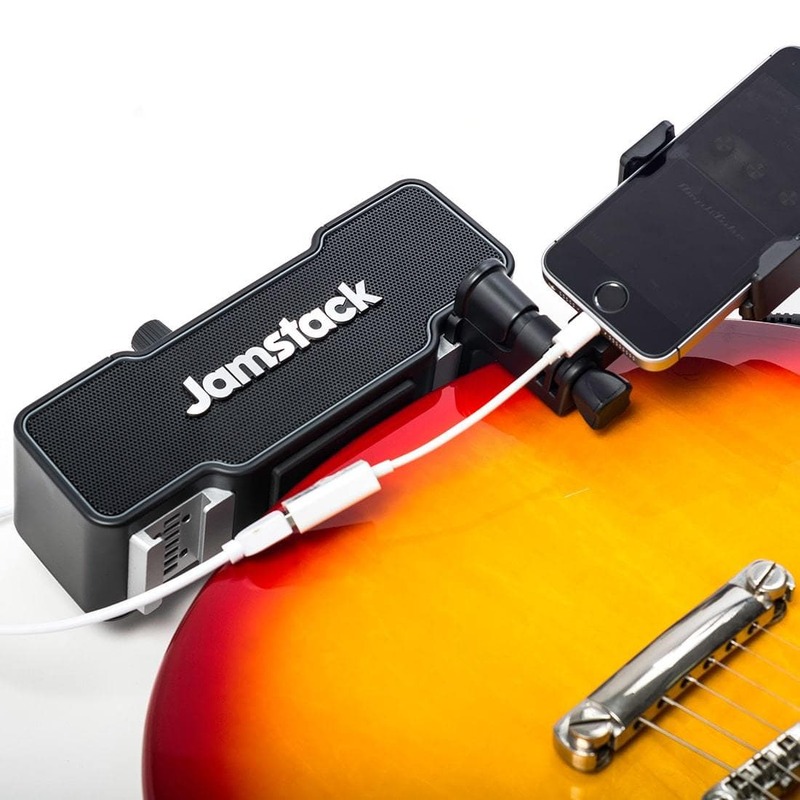 The $ 249 Jamestack is a Bluetooth speaker that cuts your electric guitar, hooks up to the iPhone, and lets you run iOS amplifier simulation and effects apps. It's like adding a teeny-small amplifier to your guitar, just with multiple wires. For exercise it looks pretty pretty – but for admission it looks like killer. There is no shortage of audio interfaces that work with iOS. Any USB sound card will do the trick with the correct adapter. But very few of these clips on your guitar. And even fewer have a built-in speaker. This combination of features means that Jamstack – not confused with JamStik – may be unique. Jamstack clings to the guitar.
] Even without a speaker, the interface / rock combination looks good. You can take the edition from the guitar and send it to the iPhone. You need to connect a cable to the iPhone (or iPad), but it's a single cable, making it much less likely to pull everything from your desk or couch and to the floor. In addition, there is even an iPhone mount there. It's like Jamstack's maker thought of everything. The device is bigger and more powerful than I first thought when I saw it. The device weighs in at 900 grams (1.9 pounds), and is the size of a Jambox-style speaker. With two speaker divers, it may sound like it is quite bent. I also dig their physical connections. The guitar clamps are detachable and connect to the device using flash-mounted heat-shielded cameras. This means that it can also be mounted on other stands. Battery life goes up to eight hours. 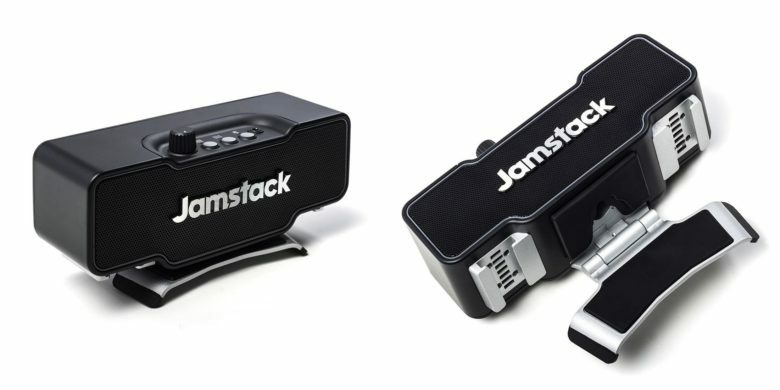 And Jamstack also acts as a regular Bluetooth speaker. I started a little skeptical about Jamstack, but the more I look at it, the more I like. If I were in the market for a portable, candybar-style speaker, I would take a look at this. If it sounds good like the competition, why not get this instead? You will get the added bonus of being able to play guitar on vacation, or to sign up without having to replace an entire desktop setup.